Rather than wait until it has to be done, start early to winterize. Most of these projects can be done before the cold sets in. Contact your heating contractor now. 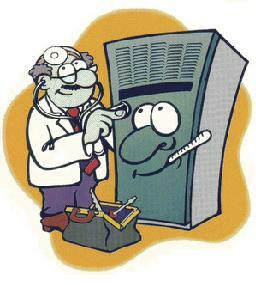 Get your furnace serviced, furnace filter replaced, adjusted for efficient operation. You will probably get a better price for your service now, before it is an emergency call! Your contractor can also warn you of any potential problems, or advise if it is time to be considering a replacement or upgrade. Check your insulation. Heat rises. Your ceiling/attic is one of the highest heat loss areas of your home. Every dollar spent for insulation is money well spent. 12" of insulation is equal to an R38, which we recommend for any home. Have your air ducts cleaned. Believe it or not, most home's duct systems have never been cleaned. You will be amazed at all the construction debris that has been down in there all these years. Duct cleaning is especially crucial if anyone in your family is afflicted with asthma or allergies. Check for cracks or gaps around your doors. Weather seal is very inexpensive and will save, perhaps, hundreds during a heating season. Check for cracks or gaps around your windows. Same thing goes here. Caulking is very cheap in comparison to the money lost to heat escaping to the outside, and the extra furnace run-time to replace it. Consider upgrading your windows to more efficient ones. This is not a cheap proposition, and takes many years to recoup the costs, but it will save on your utility bills. Seal electrical outlets which are located on exterior walls. Your hardware store has foam gaskets which fit behind switches or plugs to help keep out the cold. Seal the joints on your ductwork. Mastic or a good duct tape works wonders here. Insulate around all ductwork in attics or crawlspaces. Insulate your water heater. Insulation blankets for water heaters are readily available at your local hardware store. Be careful to NOT cover any supply air openings or service accesses.